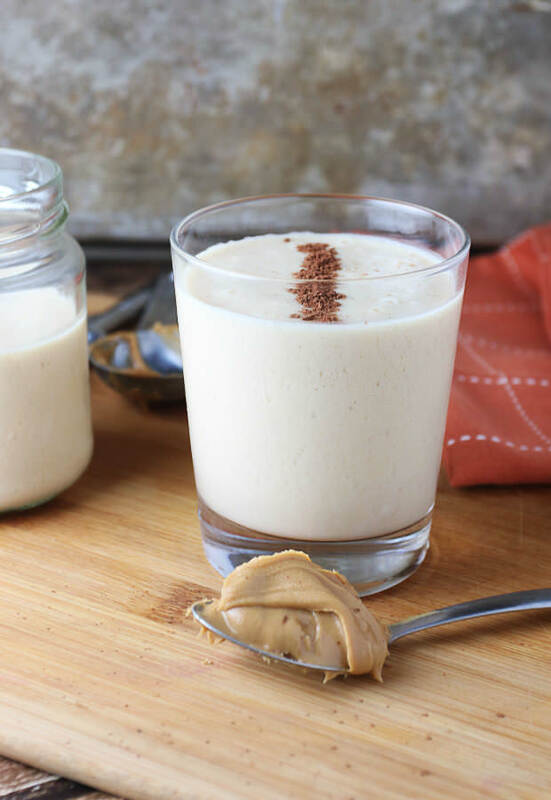 If you’re a sane person, then peanut butter is probably one of your guilty pleasures – I know it’s one of mine. But, when we’re on a ketogenic diet, we can’t always grab it by the spoonful to lick it off as a snack because of the carb count. 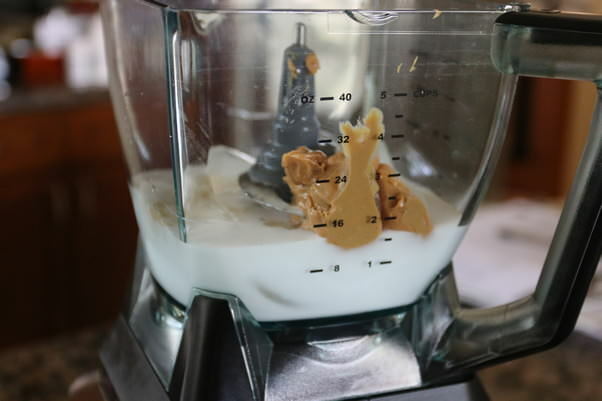 Every once in a while, though, I get a huge craving for peanut butter and have to make something that’ll combat it. 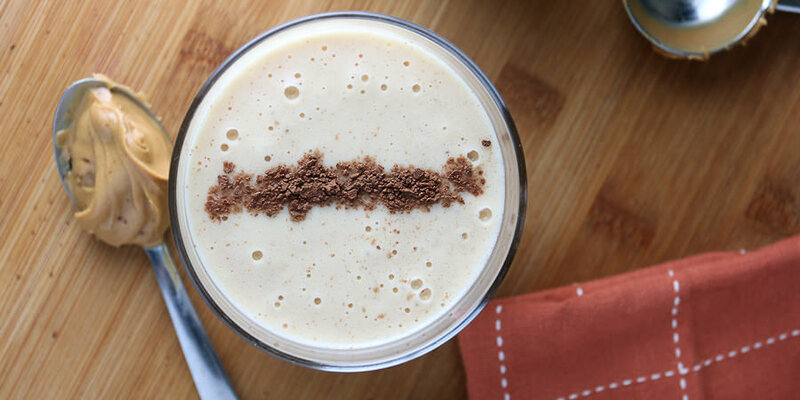 So, since I’ve been on a smoothie/milkshake stint lately, I decided to put together something I know you’d all love. Really, I could eat peanut butter for breakfast, lunch, dinner, or a snack at pretty much any time of the day. It’s creamy, homey, and takes me back to my childhood. So, instead of making this into a full serving sized recipe, I broke it up into 2 servings and made in snack-sized for a decadent little treat between lunch and dinner. I chose to garnish with a little bit of cocoa powder, purely for aesthetics. I like the taste of it when it was mixed in, but it certainly doesn’t have to be part of your shake – it tastes delicious on its own. P.S. I got a lot of questions about what type of coconut milk I’m using. I use the “So Delicious” brand of coconut milk in the carton. The unsweetened type will be in a green and white carton, normally find near the other milks in the grocery store. 1. In a blender, add 7 Ice Cubes, 1 cup Coconut Milk, 2 tbsp. Peanut Butter, 2 tbsp. SF Torani Salted Caramel, 1/4 tsp. Xanthan Gum, and 1 tbsp. MCT Oil. I’m using a Ninja Blender with Mini Ninja Attachment. 2. 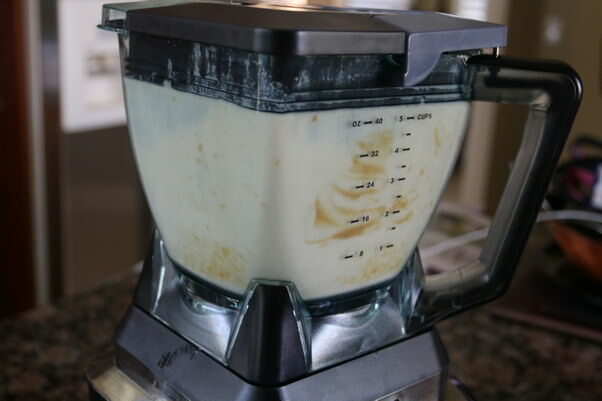 Blend everything together for 1-2 minutes or until consistency is where you want it. It should be slightly thickened with a nice hint of crushed ice running through it. 3. Pour it into a glass and serve! I broke this into 2 snack-sized servings with a small sprinkle of cocoa powder on top for presentation. This makes a total of 1 serving. 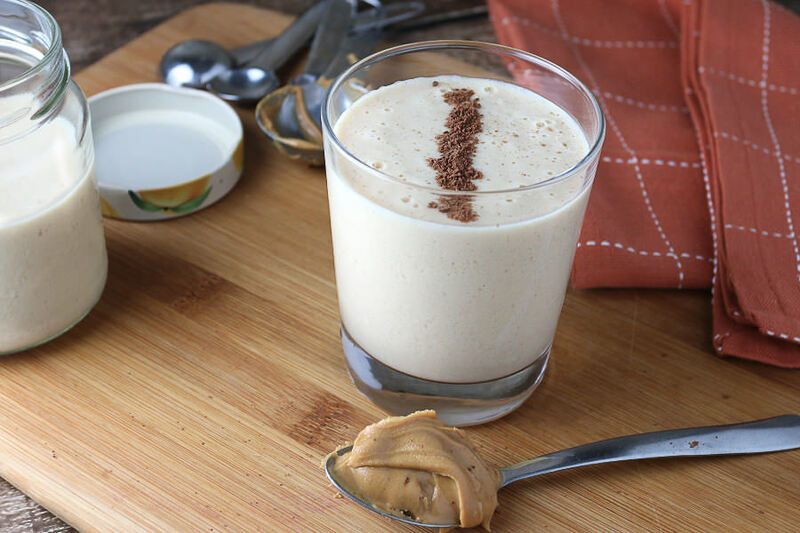 For the entire recipe, it is 369 Calories, 34.95g Fats, 7.53g Net Carbs, and 8.1g Protein. Add all ingredients to your blender. I'm using a ninja blender with mini ninja attachment.